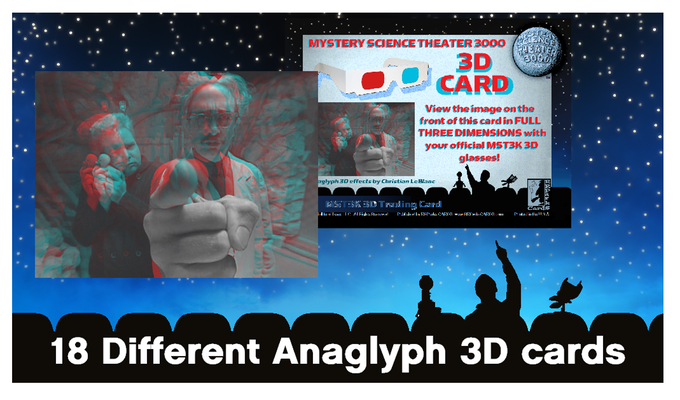 Collectible trading card creator Richard Parks is taking pre-orders for his very cool set of MST3K trading cards. 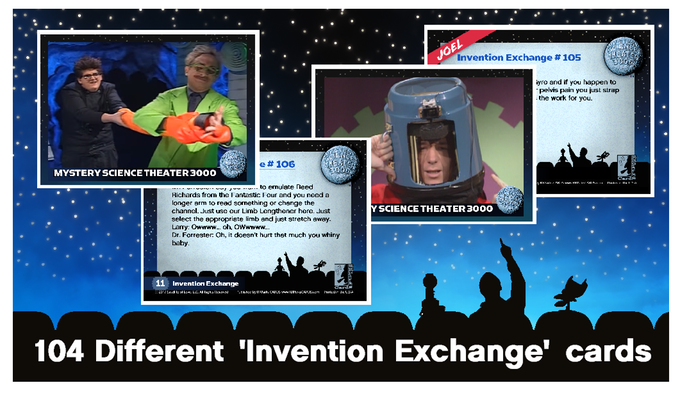 This is the first series with more to come, and features invention exchange cards, 3D cards and much more. Take a look! Also, a friendly reminder that the Season 11 Soundtrack CD is out today! RRParksCards’ Kickstarter ended last night funded at $53,088 for 427 backers . . . or roughly $50,000 beyond the stated goal. 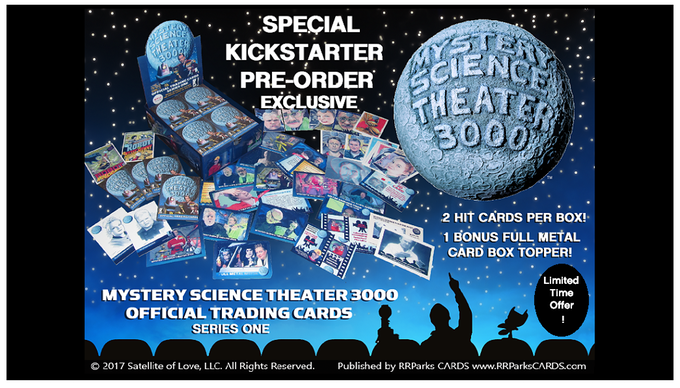 This campaign was to trading card Kickstarters what “MST3K: The Return” was to TV/movie Kickstarters. And thank you to all the pertinent entities involved in licensing this product to Richard Parks . . . he’s in the process of creating an amazing card set, giving it far more attention and thought than any of the bigger trading card companies would have done.